Select a link below to view another exciting game by LMD Enterprises, LLC. 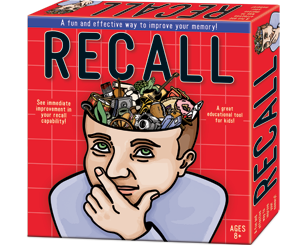 The RECALL memory improvement board game is designed to measure and improve your ability to recall information. RECALL does not require exceptional memory capabilities, but rather relies on organizational techniques to help you systemize information to improve memory. How does RECALL work? There are six thematic game boards with different pictures on each board. 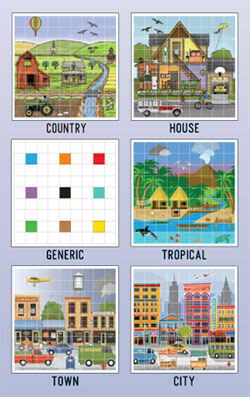 There are eighty tiles with pictures of familiar objects printed on each tile. 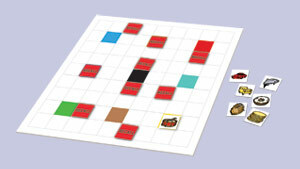 The object of the game is to place tiles face down on one of the game boards, and use cues from the picture on the board to recall which object is on each tile as you turn them over. RECALL can be played as a single-player activity, a cooperative game, or as a competitive game. It can also be used as a great learning tool for kids. © 2019 LMD Enterprises, LLC, P.O. Box 3232, Seattle, WA 98114, U.S.A.